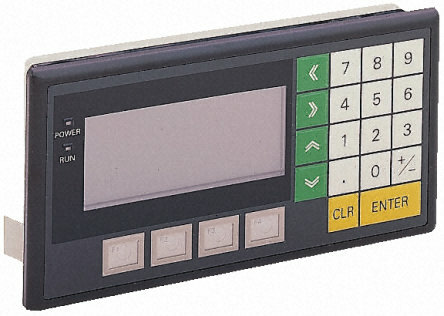 Omron HMI NT11 is a entry level HMI By Omron series of HMI. It has four Key-Buttons at the bottom side and full numeric keypad at the front Right Hand side. We can design screens with features having like lamp , data display , text display and data entry . But there is no Button for going to specific screen or changing screen i.e to go front and back in screens . This feature is provided in almost all of the HMI but in Omron NT11 we have to assign these property to one of the four keys at the Bottom. As you can see in the picture of NT11 there are four keys namely F1 , F2 , F3 & F4 at the bottom side , generally we assign F1 to go back to previous screen and F4 to go to next screen and F2 , F3 are used for other purposes like ON/OFF etc. We have to write a suitable PLC program for this accordingly.Subscribe to PLC, HMI Programming and SCADA Tutorials by Email . Open the NT Series Support Tool , slect NT11 model and after that click on tools and select PT Configuration , Here er have to define the PLC Control and PLC notify Area . Select the D100 and D200 in Control area and notify are respectively. See the below Picture for better understanding. Note :- Click on the picture for a better enlarged view. So Now we are done with the HMI Part . Now we have to write the PLC Program accordingly to change screens in HMI using the F1 key to go BACK and F4 key to go to NEXT screen. In this sample program we have considered the HMI settings as above and considering a total 10 screens , you can download PLC program in .cxp format and .pdf format from below. 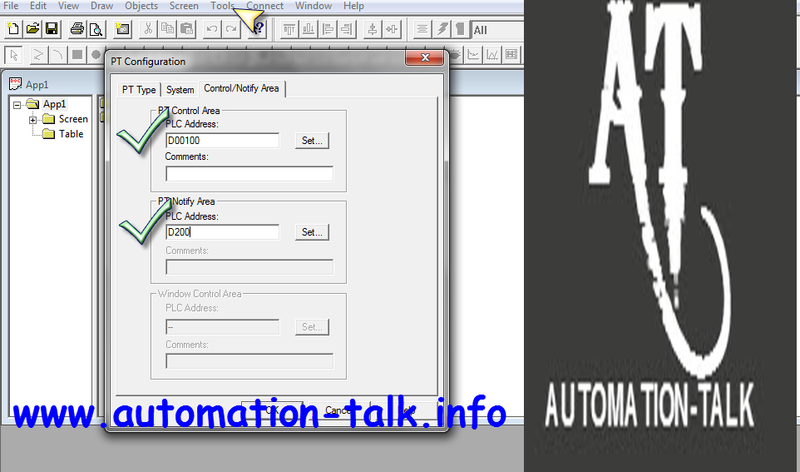 Download PLC Program for Changing Screen.